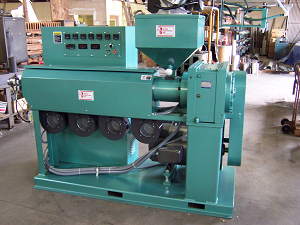 We offer an assortment of extruders sized from 3/4" to 3 1/2" in diameter. All models are manufactured in Fullerton, CA. Following is a listing of our standard extruders. Please contact the factory for further information on custom designs and sizes. 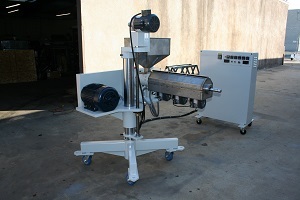 Model 75B: 3/4" 24:1 Bench mount lab extruder. Model 75H: 3/4" 24:1 Horizontal extruder. Model 75HB: 3/4" 24:1 Horizontal pedestal mount extruder with full 360 degree rotational capabilities for co-extrusion applications. Model 100HP: 1" 24:1 Horizontal pedastal mount extruder with full 360 degree rotational capabilities for co-extrusion appplications. Model 125H: 1 1/4" 24:1 Horizontal extruder. Model 125HP: 1 1/4" 24:1 Horizontal pedestal mount extruder with full 360 degree rotational capabilities for co-extrusion applications. 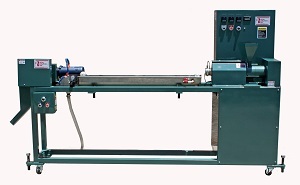 Model 150H: 1 1/2" 24:1 Horizontal extruder. Model 150HP: 1 1/2" 24:1 Horizontal pedestal mount extruder with full 360 degree rotational capabilities for co-extrusion applications. Model 175HP: 1 3/4" 24:1 Horizontal pedestal mount extruder with full 360 degree rotational capabilities for co-extrusion applications. 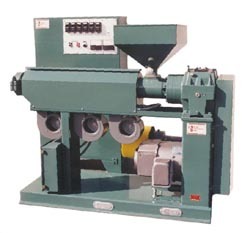 Model 200H: 2" 24:1 Horizontal extruder. Model 200HP: 2" 24:1 Horizontal pedestal mount extruder with full 360 degree rotational capabilities for co-extrusion applications. 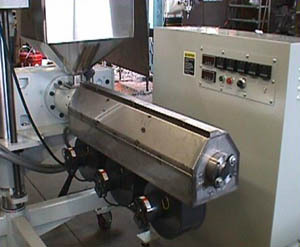 Model 250: 2 1/2" 24:1 Horizontal extruder. 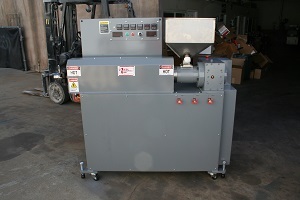 Model 350: 3 1/2" 24:1 Horizontal extruder. Customized to meet specialized needs, inquire for details.